KLT » Nieuws » PURITY™ FG SPRAYS – FOOD GRADE SOLUTIONS FOR ALL YOUR HARD TO REACH PLACES. 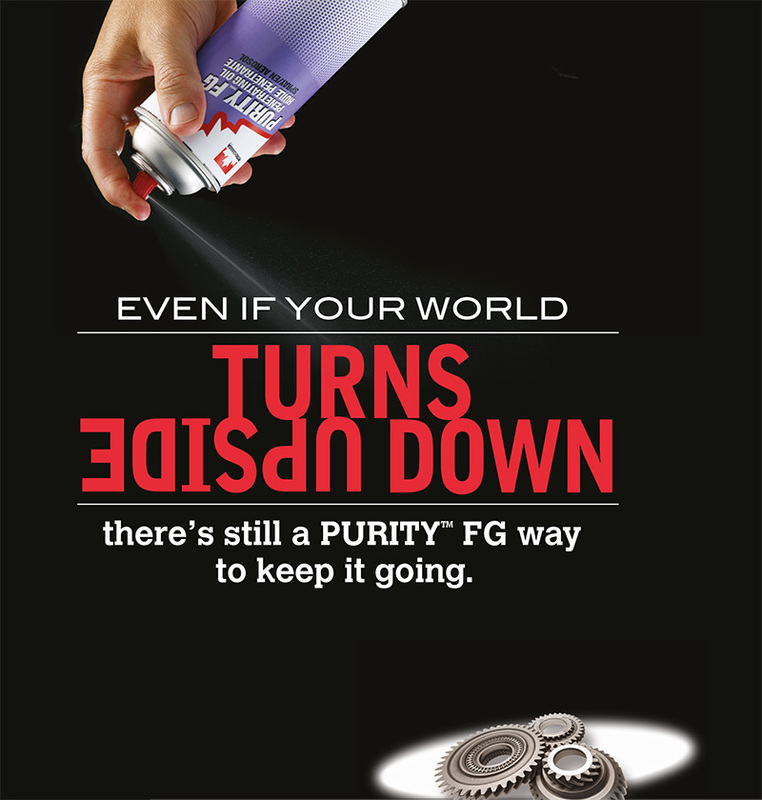 Our newest PURITY FG aerosol sprays now hit the mark right side up and upside down. Use them for just about any NSF H1 spray application that requires Plant tough, Food safe lubrication. Trust the one name that covers all your food grade needs – PURITY FG. Now available in three new convenient sprays: PURITY FG2 with Microl MAX Spray, PURITY FG Silicone Spray and PURITY FG Penetrating Oil Spray.